SEOUL -- Hyundai Motor Co. posted the biggest monthly gain in exports since January as the earthquake in Japan disrupted output at rival manufacturers. Hyundai sold 364,809 vehicles last month, 14 percent more than a year earlier, led by an 18 percent jump in overseas sales, according to a statement by the Seoul-based company. 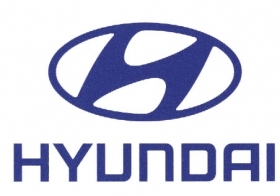 Hyundai's Kia Motors Corp. affiliate sold 212,348 vehicles in October, an 11 percent gain from a year earlier. The South Korean automakers have expanded their U.S. market share as Toyota Motor Corp. and Honda Motor Co. curtailed output after the magnitude-9 temblor and ensuing tsunami in Japan led to shortages of power and parts. Hyundai and Kia said on Tuesday that global demand is growing for "steady sellers," including Hyundai's Elantra sedan and Kia's Forte compact. Overseas sales at Hyundai rose to 305,923 in the month, the fastest growth in nine months based on unadjusted October figures, while domestic sales fell 6 percent. Kia exports jumped 15 percent in October, and domestic sales fell 4.3 percent. In September, Hyundai and Kia said they expected their combined sales in Europe to grow 12.4 percent this year, exceeding forecasts despite economic problems in the region. Hyundai plans to sell 405,000 vehicles in Europe this year, higher than its earlier target of 400,000, the automaker said. Kia is projecting sales of 293,000, compared with its previous goal of 285,000. In the first nine months, Hyundai's European sales (excluding Russia) rose 11.2 percent to 304,540 cars, making it the No. 3-selling Asian brand in the region, according to figures from industry association ACEA. Kia was No. 4 among Asian brands in Europe with 213,433 sales, a rise of 7.2 percent over the same period last year.